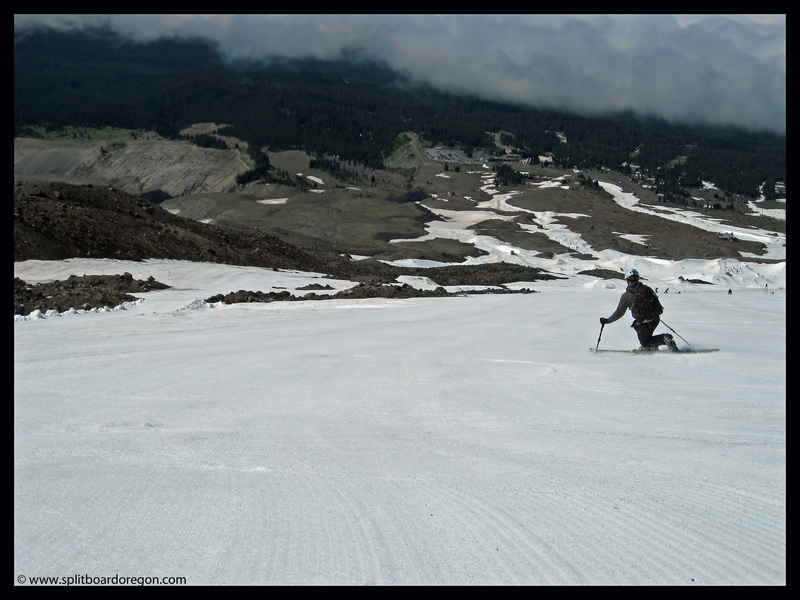 To get turns in for month 33, I met up with Todd early in the morning at the parking lot of Mt Hood’s Timberline ski area. 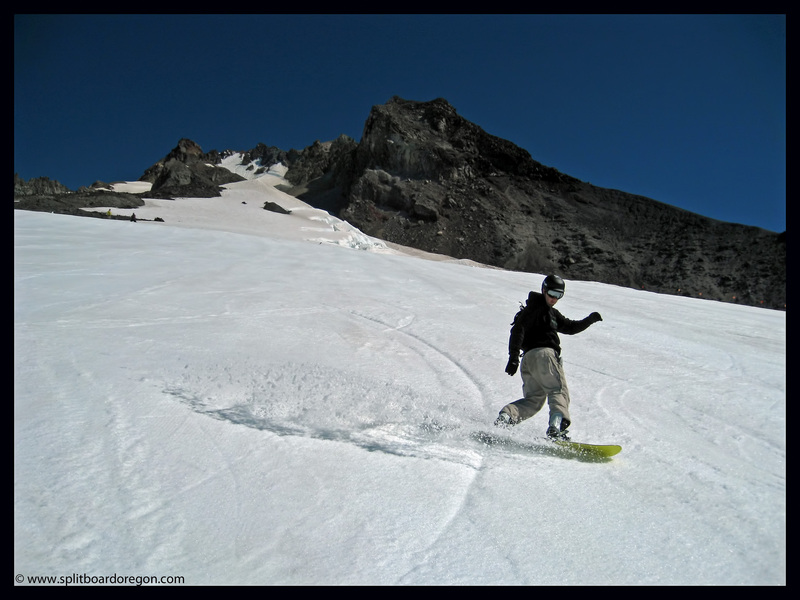 The weather was sunny and nice, and we elected to spin laps on the Palmer snowfield. The snow was somewhat hard as usual in the early morning, but few people were around. As the snow softened up, more folks ventured up the lifts, and the snowboard campers started up the mountain as well. We spent most of our time on the upper Palmer, riding down to the mid-station without going all the way down. Around 11:00, we headed over to the eastern boundary of the ski area and ventured out onto the White River Glacier to eat some lunch. Looking up at the White River Snowfield, it actually looked to be in pretty good shape. 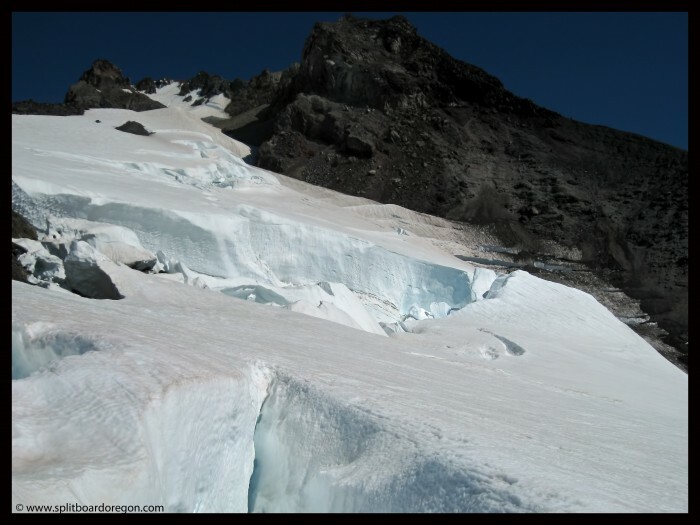 The usual large crevasses on the glacier itself were completely open in the mid-summer sun…. 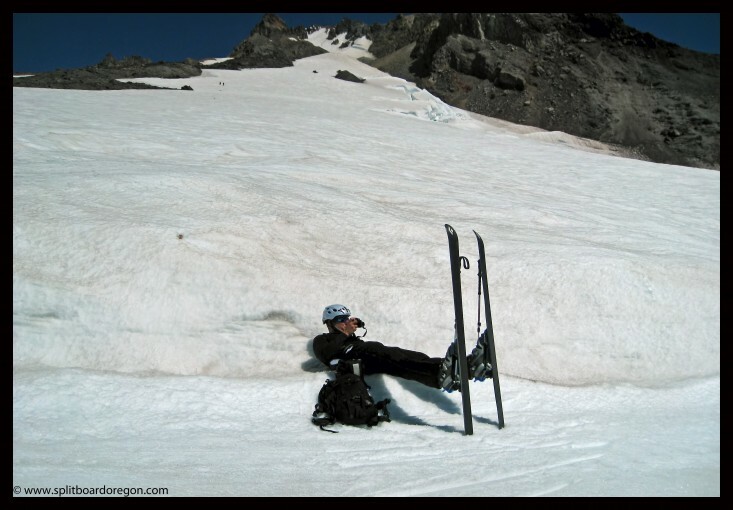 After lunch, we made several more laps on the snowfield, with each one getting better and better. 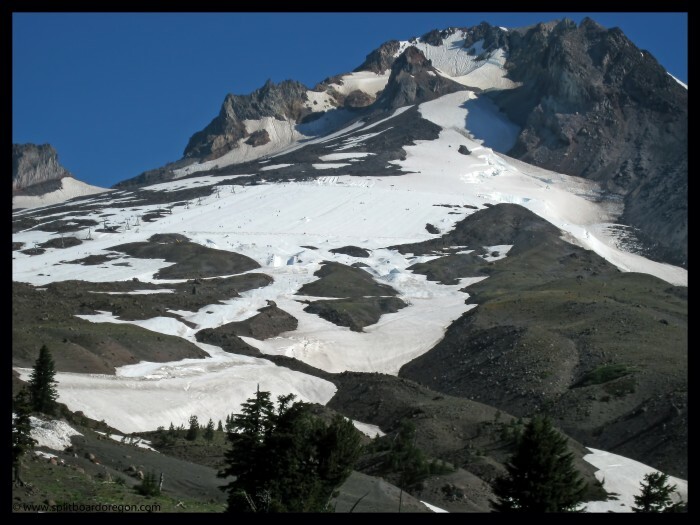 We thought about hiking above the ski area since the White River snowfield looked so good, but elected against that since most people were off the hill by noon and we had the place to ourselves. Around 1:00, being pretty spent, we made the long run down to the parking lot, having skiied over 20,000 vertical feet for the day. Down at Govy, we stopped in at the Ratskellar for an IPA and some grub, rounding out a near perfect day. Here’s a shot of the mountain from the parking lot…..